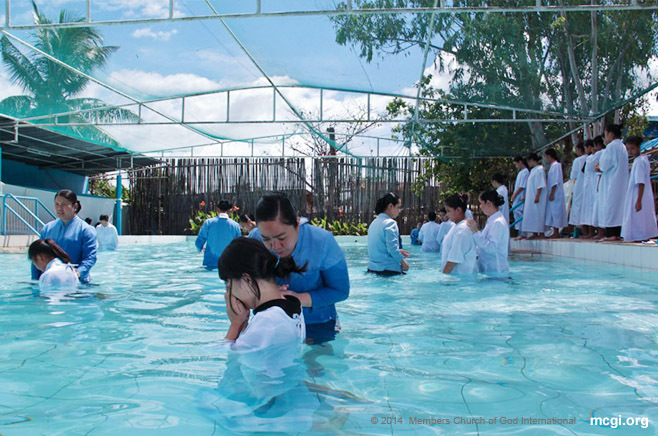 Read short testimonials of faith from some of MCGI’s youngest brethren baptized on October 16, 2015 at the Ang Dating Daan Convention Center in Apalit, Pampanga. I wanted to learn the doctrines of God. In this Church, [if you follow the commandments of God] you will be saved. Also, every time you attend Church services, teachings are added to you which you can use your whole life. At first, I wasn’t sure about this as I was solidly a Catholic then; I thought it was the right religion. That was what I believed. Then, I was able to watch him [Bro. Eliseo]. The very first time, I felt kind of bored because I didn’t want to listen. As time passed by, I understood it. I guess because at first, my mind was closed, but it eventually got opened as I kept attending. Actually, I haven’t seen my father in a long time, as we [my siblings and I] got adopted. When I returned home, I saw that he was changed; his lifestyle was different as compared to before. That’s when I saw that this Church can change people’s lifestyles, and I got amazed. Then one time I went with him. I finally felt light, because before I really felt I was carrying this burden inside. Then, I got enlightened by the words of Bro. Eli, and I felt light after I got baptized. Keep it up. Their explanations are so easy to understand compared to others, like the priests’. But with them, sometimes you’ll even get a laugh or two, and it’s very comprehensible. Out of the many, many religions that I saw, it is truly only here where I found the reality that I must learn. It is here in this religion. I was also encouraged to join by her [points to Sis. MJ] father. At first I was kind of bored, because I believed in former religion where there was crying and dancing; I was a Born Again. I got interested in the doctrines and were able to focus on them. I just had that feeling wherein my knowledge, my awareness, my life views are broadening because of what I have been learning from Bro. Eli. It’s because of what he says, people’s understanding of each other become bigger. Even though others do you wrong, you understand them. Actually when I haven’t yet been immersed in water, I felt nervous. I don’t know what changes would happen to me once I got out of the water. But before I got baptized, I prayed that the Lord may guide me. I prayed that when I get out of the water, there will be a new me, and I will have a new life, a new being. 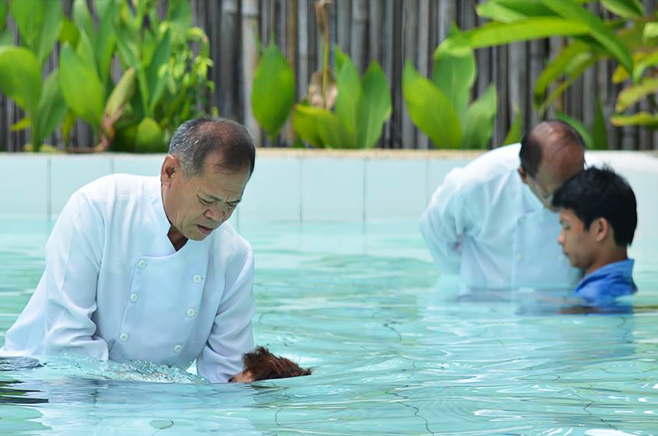 After baptism, I felt I was cleansed. Though not in the physical way, but spiritually; I felt it. I felt the new me. I hope it will continue until the end. To join hands with them, to be with them until the end. I cannot say anything more for them, but that they’re good. I really wanted to join. My parents are just one month in the Church and they have encouraged me as well. I hope that they will continue what they are doing.